Remember that post last week about the Turing Phone Cadenza? Well, Turing Robotic Industries is back with more craziness. 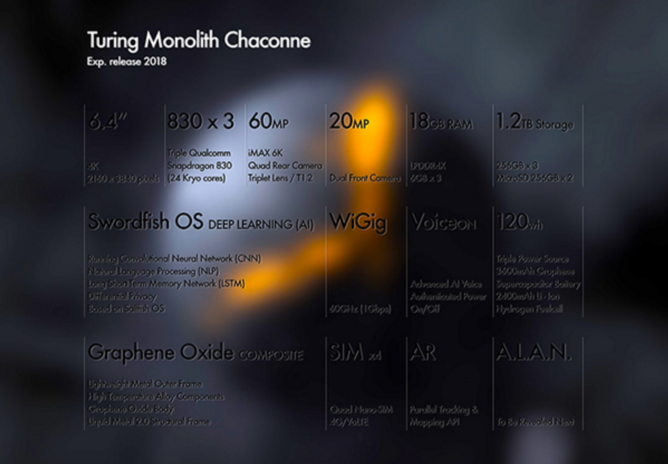 The company, through another newsletter, has just announced the Turing Monolith Chaconne, a phone with specs even stranger than its name. Steve Chao, CEO of TRI, starts the newsletter off with an inspirational Steve Jobs quote. Chao goes on to (attempt to) explain how the dual Snapdragon 830s in the Cadenza will operate. Now, I'm not an engineer, so one of you guys will have to tell us if this logic is sound. "TRI plans on connecting multiple CPUs via WiGig by implementing an ad-hoc driver to the 60GHz channel via on-board USB3.0. This complicated computing process stores a transient matrix in SSD of CPU(1), then it recomputes and shares the transient matrix with the other SSD of CPU(2) simultaneously. This results in the CPUs sharing their computing power in parallel. Such proprietary technology enables TRI to achieve never-seen-before computing power on a mobile device. So what exactly is this technology intended for? The answer is - Computational Intelligence (CI)." TRI also mentions that R&D for these hypothetical phones is being done in Salo, Finland, a place where manufacturers such as Nokia and Microsoft used to develop phones. Terrible choice of background, Turing. Thought the Cadenza was already batshit insane? Think again. Just in case two Snapdragon 830s weren't good enough for you, the Monolith Chaconne will have three. It'll also add 6GB of RAM to the Cadenza's 12GB for a total of 18GB. A 6.4-inch 4K display is mentioned, as is 768GB of internal storage with two microSD slots. This 768GB, along with two 256GB microSD cards, makes for a theoretical total of 1.2TB of storage. The hydrogen fuel cell-equipped battery gets a boost of 20Wh to 120Wh. 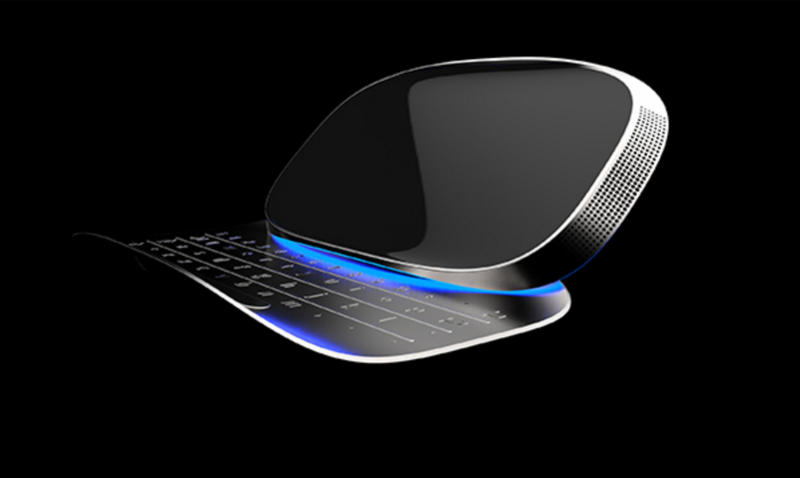 Specs carried over from the Cadenza include Swordfish OS, the graphene oxide composite construction, the 60MP quad rear-facing camera, the 20MP dual front-facing camera, and quad nanoSIM capability. Food for thought: the 4K display is the least impressive spec on this sheet.